St. Nicholas is thinking about the future. In 2013, a Master Plan was formulated. Here is the full text of that document. 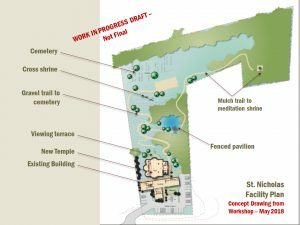 In a series of three workshops held in April and May of 2018, parish members came together to discuss and explore the idea of expanding and enhancing our building and grounds in the coming years. 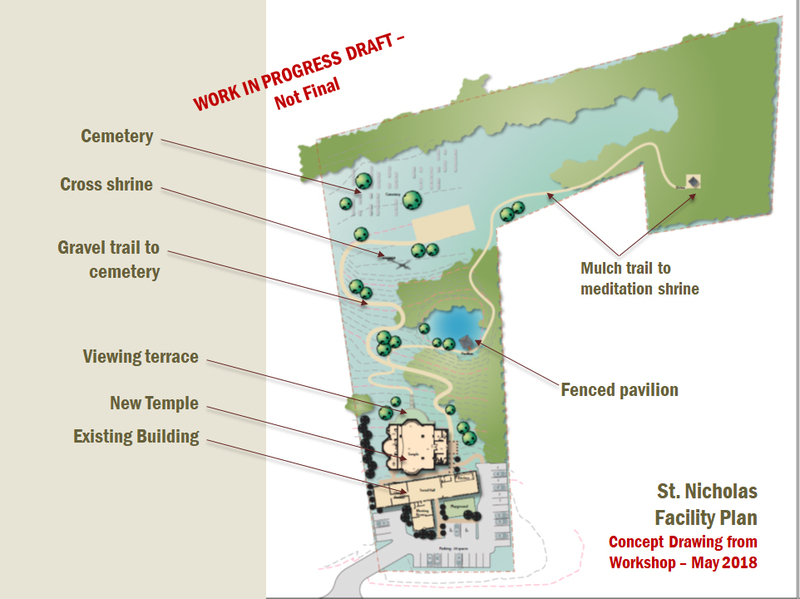 As called for in the 2013 Parish Master Plan, our vision is to develop an expanded, beautiful and “appropriately Orthodox” temple in the coming years and to add more parking, amenities and facilities on our site as well. The workshops focused first on what was feasible from a regulations standpoint on the site. Then, a series of alternatives were explored such as “building up” or “building out” (expanding the building horizontally or adding a story). Finally, the discussions resulted in a draft Concept Plan that will be sent to Metropolitan Antony for his review and guidance after being shared with the parish. Pray for God’s blessings on our parish’s long term vision and on all those volunteers who are and will be working to realize it.